According to analysts the development was a huge negative surprise also because it is likely to be construed as reversal of the autofuel price deregulation policy by investors, and return to the erstwhile subsidy sharing mechanism. Stocks of oil marketing companies (OMCs) continued to tank in opening trade - diving up to 29% - after the Centre directed the three state-run players to absorb a cut of Re 1 per litre of petrol and diesel yesterday. In fact, all the components of the BSE Oil & Gas index were in the red earlier this morning and the major OMC stocks have hit a 52-week low. That's bad news for a sector already left bleeding by the double whammy of a falling rupee and rising oil prices. Shares of downstream companies - Hindustan Petroleum (HPCL), Bharat Petroleum (BPCL) and Indian Oil (IOC) - also took a beating since global brokerages downgraded them on the expectations of an earnings hit. 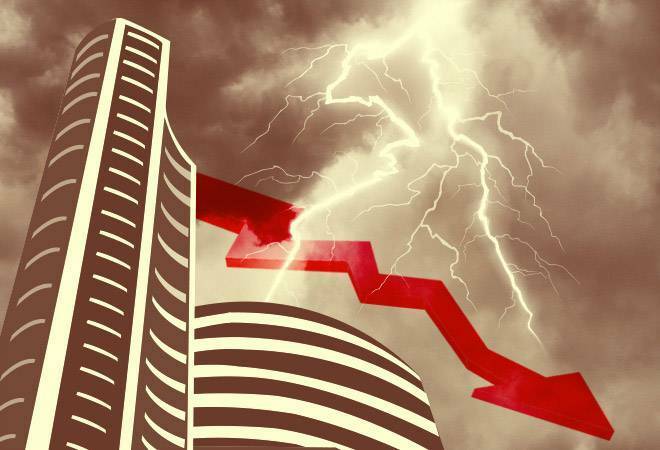 According to Mint, the last two sessions have wiped out nearly Rs 1.25 lakh crore of the market valuations of upstream and downstream companies. Shares of HPCL are currently down 25.18% on the Sensex, followed by BPCL (down 21.11%), IOC (16.19%) and ONGC (15.93%). The other companies have posted dips of 3-10.5%, while Andhra Petrochemicals fared comparatively better today, down 0.88%. "While the move is certainly benign for the consumer, the modality of the same has negative fallout for the OMCs. As if the covert price control (during elections) was not enough to dampen the investor sentiments, re-introduction of under-recovery, in our view, could further dent investment environment," said Antique Broking firm. "We therefore re-calibrate our earnings estimates, trim our target prices & valuation multiples and downgrade OMCs to HOLD." The outlook isn't great for upstream companies either. So far, they were exempted from the subsidy burden despite expectations of windfall gains in earnings on higher crude and rupee deprecation. Citing analysts, the daily added that the government may consider a higher dividend from upstream companies to compensate the revenue loss due to the excise duty reduction of Rs 1.50 per litre of petrol and diesel. According to analysts the development was a huge negative surprise also because it is likely to be construed as reversal of the autofuel price deregulation policy by investors, and return to the erstwhile subsidy sharing mechanism. The pundits estimate the Re 1 burden will translate to an annualised impact of Rs 14,000 crore on OMCs' EBITDA of Rs 14,000 crore. The impact for the remaining part of this fiscal is pegged at Rs 7,000 crore. "In a scenario where we mechanically cut our petrol/ diesel marketing margin assumption for the OMCs (IOCL, BPCL, HPCL) by Rs1/L the impact on EPS is material, with scope for 25%-40% consensus earnings downgrades," read a Macquarie Research note released today. "Petrol and diesel combined account for slightly under two-thirds of OMC marketing volumes, and given existing thin EBITDA margins, this burden would leave segment EBITDA in the red." However, according to The Economic Times, the downside for OMCs could be limited since the parameters used to value the state-owned players vary according to market cues. When the stocks head north, the Street uses the PE multiple to value them, but when they are falling, analysts look at their price to book (P-B) ratios. The average book value of BPCL, HPCL and IOC reportedly dropped to 1.59 times yesterday, but that is in line with the average of the past 15 years. The average return on equity (RoE) was 10.6% in FY13, which went up to 26.98% in FY18. Every Re 1 reduction in marketing margins could lead to a projected earnings cut of 17-22% in the current fiscal. But despite that, the oil PSUs would be left with RoE of two times the FY13 level. So the ongoing bloodbath at Dalal Street may not spell lasting pain.